Stephen Donnelly TD with Eugene Waters (WCCC), Miriam O’Regan(WCCC) Lynda Pegman (Junglemania) and some of the childminders at the launch of the Childminding Hubs. 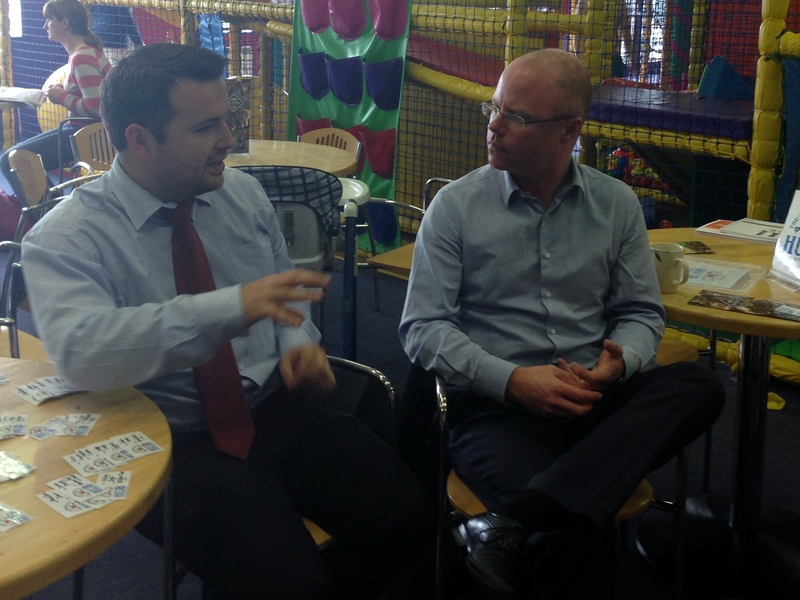 Stephen Donnelly TD launched the Childminding Hubs initiative in Junglemania, Kilcoole on June 25th at 11am with a round table discussion on the future of childminding. The Childminding Hubs are a new initiative, organised by Miriam O’Regan, the Childminder Advisor at Wicklow County Childcare Committee, to provide a meeting place for childminders to network and to help parents looking for childcare. 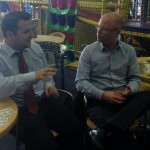 A Childminding Hub is a monthly get together where professional childminders get to meet and network; the kids get to have a great play time at special childminding discount rates at local indoor play centres on that morning; and parents looking for childminders know that they can come along and meet them there too. New childminders can also come along and find out more about how to get going with the latest up to date information on supports available. “It’s a great way of making quality childminding visible to the local community,” says County Childcare Co-ordinator, Eugene Waters. A lovely group of childminders from around the county got together for the launch. 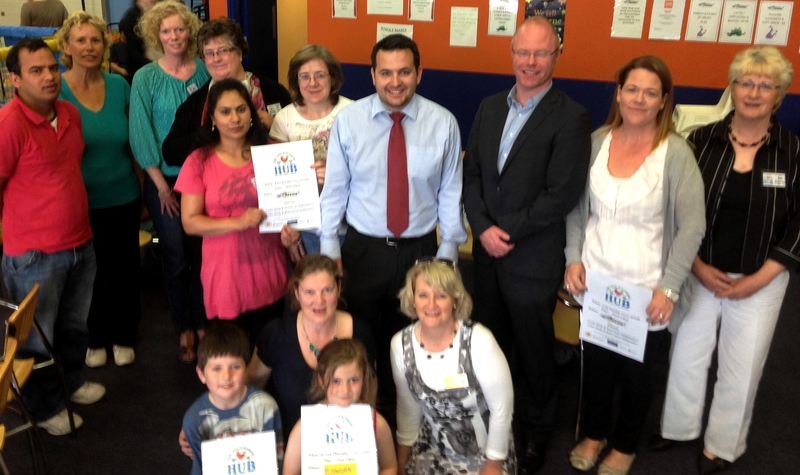 They received their Childminding Hub cards – which will allow them avail of the discounted rate on Hub day in the three play centres involved in the initiative: Jungle Mania in Kilcoole on the last Tuesday of the month, Kidzone in Wicklow Town on the third Thursday, and FunWorks in Arklow on the second Tuesday of the month. “Hubs are a great idea because it’ll be a way to get together to support each other when our Childminder Advisor post is no longer there, ” according to Ann Ryan, a childminder from Rathdrum. Childminder Advisor for East Wicklow, Miriam O’Regan, agrees. She has been delighted with the response from childminders. When the photos were taken, and the cakes eaten, a group of happy childminders (and children) took some posters to hang up, and fliers to distribute. It’s time to spread the word about professional childminding and where to find it!